Are we capable of being free thinking, autonomous individuals? Some modern scientists and philosophers would answer firmly no. Referencing specific research papers, scientists assert that our brains begin an action before we are conscious of our intention to act. For example, one experiment captured how our brains transmit a chemical signal to move our hand before we become aware of our inclination to move it, (Libet, B., 1985). But are these findings incompatible with the notion that we can freely choose? We have instinctive thoughts and actions that science helps to prove with these experiments; however, for decisions where something is at stake, I believe we consciously weigh our alternatives and then decide, through use of our own reason, which course of action to follow. On the other side of the spectrum, some philosophers also disagree with an individual’s capacity for free thought because they believe in determinism: the theory that we cannot change our fate because all our decisions are the result of external influences. They are convinced that people constructed this notion of free will simply to comfort themselves so that they do not feel lost or insignificant in the vast, overwhelming world that surrounds them. Yet we, as human beings, can consciously think and act as dynamic individuals. Our questioning and skepticism of these scientific results and the theory of determinism highlight our ability to doubt and question, and therefore make our own rational decisions. In spite of having the capability to think for ourselves, we are often complacent and allow others to dictate what we do. As philosopher Simone de Beauvoir explains, a man tends to embody a label, such as father or soldier, and in doing so relinquishes his ability to think for himself: “He is thereby led to take refuge in the ready-made values of the serious world. He will proclaim certain opinions; he will take shelter behind a label,” (Ethics of Ambiguity, 44). He becomes part of a unit where values are imposed upon him. Adopting the values as his own, the sub-man does not have to think for himself, and instead he projects these instituted values to the outside world (Ethics of Ambiguity, 44). It is a difficult to not fall into the trap of being a sub-man in society instead of being an autonomous, freethinking individual. 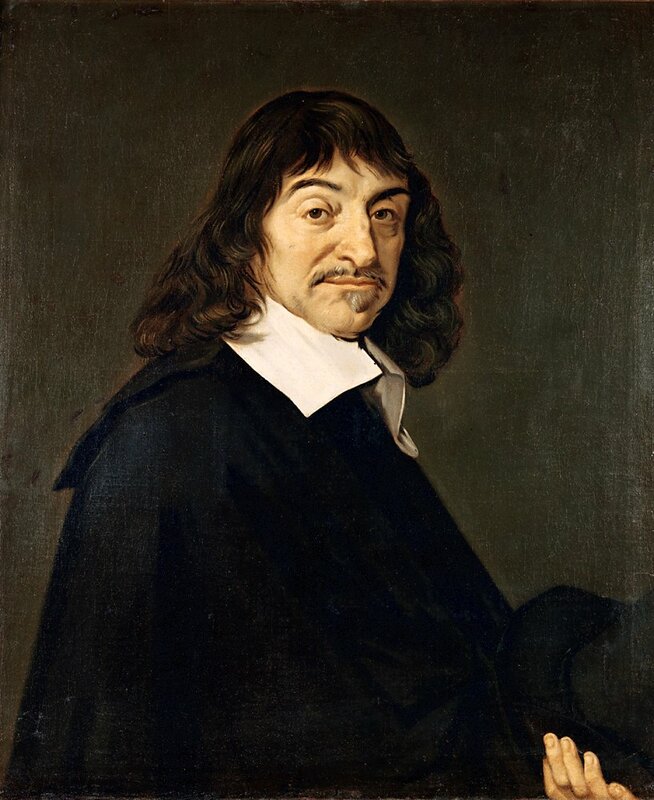 Descartes argues that the most detrimental thing to developing our own judgment is the fact we were all first children: “it is nearly impossible for our judgments to be as pure or as solid as they would have been if we had had the full use of our reason from the moment of our birth,” (Discourse on Method, 8). 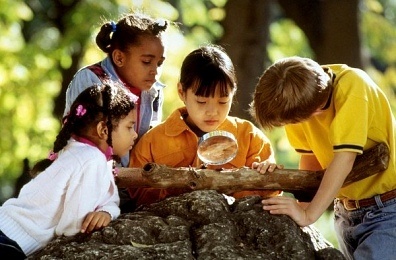 A child does not realize her potential to think freely because she is sheltered in a world constructed for her by a previous generation of parents and teachers. It already has a distinct culture with a set of morals that a child abides to because the laws seem “as inevitable as the sky and the trees,” (Ethics of Ambiguity, 37). Blind to these constraints placed on her universe, she remains ignorant. Some call this blissful ignorance, and many adults want to return to this child-like state of security. However, as Simone de Beauvoir writes, this state of immaturity makes for an insignificant life: “He is in a state of security by virtue of his very insignificance… He knows that nothing can ever happen through him; everything is already given; his acts engage nothing, not even himself,” (Ethics of Ambiguity, 37). A child gains maturity by beginning to doubt and question the constraints that her parents and members of society have taught her to unconditionally obey and respect. She understands how she has been “cast into a universe which [s]he has not helped to establish,” (Ethics of Ambiguity, 35) and she is now capable of making her own rational decisions. She will now have to choose, knowing her actions will “weigh upon the earth as much as those of other men,” (Ethics of Ambiguity, 39). What will she do? This overwhelming, flooding feeling of responsibility will wash over her being. She must overcome the desire to revert back to childish complacency by taking on a label, and instead she must consciously begin to make a habit of exercising her own free will by continuing to question. In order to continue to question, she must find a space in which she can engage instead with her own thoughts and conscience. Where does one find a place for transcendence of thought? Heidegger says: “Being itself is essentially finite and reveals itself only in the transcendence of Dasein which is held out into the nothing,” (What is Metaphysics?, 110). She must find a space to meet the Nothingness because in that space of nothing she will find her pure being: “Pure Being and pure Nothingness are therefore the same,” (Science of Logic, 74). In finding her pure being, she discovers her innermost thoughts and beliefs. To reach this space, she withdraws from the world around her and allows time for self-reflection in the hope of encountering the elusive being of Nothingness. By making a habit of withdrawing from the world in order to reflect, she establishes a method for attempting to attain enlightenment or transcendence, as Heidegger calls it. Of course in reality, one will never completely fulfill their potential of becoming an enlightened, mature human being: “As matters now stand, much is still lacking for men to be completely able… to use their own reason confidently and properly,” (What is Enlightenment, 62). However, it is necessary to still attempt to reach such heights of being because in attempting to reach enlightenment, one can cause others to discover their own freedom of thought, “To will oneself free is also to will others free,” (Ethics of Ambiguity, 47). An example of someone who established a habit of continuously withdrawing from the world was René Descartes, a mathematician and scholar who lived in the early seventeenth century. The Copernican Revolution, entailing the shocking discovery that the earth revolved around the sun, caused a state of widespread questioning of pre-existing knowledge by scientists and scholars during Descartes lifetime. Yet, this state of inquiry enabled Descartes to question his own personal beliefs: “I would not have believed I ought to rest content for a single moment with the opinions of others,” (Discourse on Method, 16). Exiling himself from his home country, family, and friends for nine years, Descartes sought out the nothingness in which he could find his beliefs, believing that “truth… proceeds from nothing,” (Discourse on Method, 22). His self-prescribed method of using four maxims as a “provisional code of morals,” (Discourse on Method, 13) enabled Descartes to continually to seek out the truth. As he described it, “just as it is not enough, before beginning to rebuild the house where one is living, to simply to pull it down… it is also necessary to be provided with someplace else where one can live comfortably while working on it,” (Discourse on Method, 13). One cannot tear down their house without moving temporarily to another one, just as one cannot abandon their beliefs while attempting to find their inner, authentic ones. Descartes adopted his temporary moral code in order to attempt to become enlightened, and he then established his own personal moral philosophy. Even though self-exile for nine years is an extreme example of how to form a habit of freethinking, an individual should find a time and place dedicated to developing their own thoughts by withdrawing from external pressures. For example, taking a long walk or meditating can serve as a space for people seek out the Nothingness and to reason with themselves. It also does not have to be in the form of a physical isolation. By forming this habit, we realize our own agency to exercise free will.